Spend 3 expansive days at the foot of the Rocky Mountains engaging with kindred Spiritual folks! Awaken "within" to co-creative visioning, and do-it-now change-making for the New world. 30 spots left! Since 2011, Marilyn Harper and Joeaux Robey have been gathering Visionaries who, in a very unique way, are pushing humanity forward . Often, it's an approach that may not even have a language yet! It's an inner-active experience in sharing wisdom, healing the planet, grabbing soul family hugs, expressing gratitude, and expanding the possibilities for humanity. What's your five year plan? Step into the future to activate it. Come to the Convergence to learn what this is all about! You'll be creating an international message. Friday and Saturday lunch is included so you can have a little extra bonding time! Eat inside or outside, with your new friends or featured speakers. Or, 2760 minutes of possibilities for rubbing-elbows, sprouting ideas, blossoming or rekindling friendship, activating, laughing, dancing, and illuminating. A Convergence process introducing you to your soul-family! Connect with people just like you. Enjoy lunch on us to celebrate your pod! We expect this to be the largest of our Intimate Convergences! Still, we limit it to the first 216 people who register - that way, you can say "hello" to everyone. Included are a variety of daily classes, up close and personal with speakers who share their personal processes to assist YOU in achieving YOUR vision. Since 2011, hundreds of people have submitted applications to be a featured visionary speaker at our Convergence. Speakers are selected based on their unique wisdom, their futuristic entertainment, and their practical process. During our entire event (including the pre-event), you will be entertained, activated, enlightened, inspired and motivated to take immediate action towards YOUR own vision. 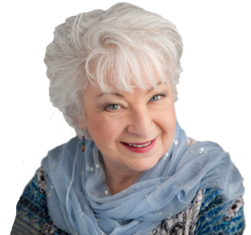 Called the “Midwestern Spiritual Sparkplug…” and the "Bette Midler of the Mystical Movement", Marilyn is a renowned public speaker, facilitator, Spiritual teacher and featured on tele-summits and conferences worldwide. 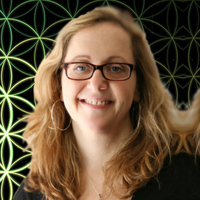 Internationally recognized as an expert on the walk-in phenomenon, she brings forth Holographic Healings, and the messages of Adironnda, a Being from the 17th Dimension. Founder of the Agape International Spiritual Center, Rev. Beckwith is a sought after meditation teacher, conference speaker, and seminar leader on the Life Visioning Process, which he originated. He has appeared on Dr. Oz, The Oprah Winfrey Show, OWN Help Desk, Larry King Live, Tavis Smiley, and in his own PBS Special, The Answer Is You. Thousands tune into his radio show on KPFK, Wake up: The Sound of Transformation. Daily breakout sessions for you to dive a bit deeper into some of our mystical topics. Two of your lunches are catered in so you can spend more time with your soul family! Saturday night join the hour of happiness and evening concert! All of the above is included in your Convergence fee. Thursday, 7AM to 5PM, offers an optional Pre-event with a bus journey to The Garden of the Gods. Thursday and Friday evening, 8PM to 9:45PM, offers 2 of our most popular workshops! Share time together in the exquisite Garden of the Gods surrounded by the magnificence of the splendid and famed towering red rock formations. Enjoy lunch and a very special experience, in the Garden, with your new soul family. Details below. with Marilyn, Joeaux, Adironnda, and a few of our speakers! SoulMonics Sound Healing with Three Trees: A musical "soul-journey into your heart and soul. Awakenings to your Divine Unique Gifts with Leandra Murray: A Galactic Shamanic Journey as Creator Beings to generate, manifest & anchor. "If you want something in your world to shift, this convergence will launch your vision and rock your world... with love." Join us for our pre-event as we share time together in the exquisite Garden of the Gods in Colorado Springs surrounded by the magnificence of the splendid and famed towering red rock formations. We will begin our journey by a visit to the Park’s museum and a viewing of their exciting Geo-Trekker movie about the history of the area and how the amazing red rocks were formed. We will then enjoy a guided bus tour of the Garden of the Gods with a Colorado naturalist as our guide. © Copyright 2016 Adironnda & Company. All Rights Reserved. Kick-off the Convergence with Deb DeLisi's special Love Project! Yvonne Perry shares all about - Walk-ins, Integrating Your Divine Aspects. You'll also hear from Victor James Dougherty - Every Little Ritual, Sara Buchanan - Breaking Through Into the Light, and featured keynote Rev. Michael Bernard Beckwith - Making Your Vision Reality. Do you have a personal plan to change the world? Share it with us and you could walk away with your start-up funds. John Burgos has committed his life to improving and enriching the lives of others. Founder and host of Beyond The Ordinary Show, which was created to unite and lead the next generation of transformation by providing a stage for emerging and provocative spiritual leaders, exposing and bringing light to the shared power of collective consciousness. Since childhood, Deb DeLisi has channeled her creative talents to bring people a sense of joy and self-discovery through her art, writing, presentations and workshops. Her creativity is a companion to her personal life challenges. She has ridden that metaphorical dragon out and back many times, maintaining a belief in the power of love and the importance of living. Raquel Spencer is an internationally acclaimed multi-dimensional energy and cellular light specialist, author, facilitator and Intuitive. Described as a multi-dimensional computer, energetic electrician and master healer of cellular light, she activates the dormant mind/body Light pathways and multi-dimensional codes of light assisting you to remember your Divine Essence. This Queen of Manifestation is dedicated to the Power of the Spoken (and sung) Word, the Divine Law of Abundance, and of Divine Intervention. Steven’s worldview and approach to life and each individual is holistic and all inclusive in nature. He teaches and mentors from his compassionate heart and personal experience. In addition to being the owner of a vehicle limousine company, Greg is a powerful intuitive healer that delights in assisting people to remember how to heal their own selves. Gary has served the mineral kingdom as a purveyor of fine crystalline specimens, artist & jewelry maker, crystal miner, & energy worker for the past 43 years. Well known in Branson, MO as a composer and musician to the stars, he also channels that amazing talent into powerful meditation and activation music for Marilyn & Adironnda. Angela, who focuses on strength and courage, is devoted to the surrendering of a perfected state of consciousness, the natural condition of the soul, or pure love. bj works inter-dimensionally as a liaison between the Intergalactic Federation, the Spiritual Hierarchy, the Angelic realm and Humanity. Angela is the human aspect of a counsel of light Beings who focus on strength and courage. She is devoted to the surrendering of a perfected state of consciousness, the natural condition of the soul, or pure love. In an energetic form within the Akash for those they are communicating with, the Mothers express themselves in a calming yet exciting vibration that exudes strength and courage. Since 1999, Marilyn Harper has dedicated her life to bringing the messages of Adironnda & Company to the planet. Adironnda is a Spokes-Being from the 17th Dimension, representing a council of Guides, Angels, and Master Teachers from Earth who are no longer in physical form. Loving and funny, they assist in the healing of your heart and of your past, activating whatever is in your Highest good for the betterment of humanity. Leandra is an evolutionary change-maker, a Seer, and Galactic Shaman. She lived on an Indian Reservation in Montana for nearly two decades, guided by the Creator’s luminous spirit and taught by the many lighted Tribes of the Invisible Worlds. She expands and ignites trigger points of evolution. Sherryl sees and experiences your energetic matrix both within your body and through your external field. She corresponds with your Guidance system and those Beings around you who are expressing assistance for your Highest Good and Highest joy. With the ability to see the planet from far above, she is able to bring in information that projects out into your future. Kathleen has an uncanny ability to tap into deeply held, unconscious, emotional patterns that emprison people in their life. She recognizes the programs of humanity, and how many people get stuck on the old, out dated grid of thoughts and old paradigms, then assists in creating the patterns that support and sustain our new 5th Dimensional, crystalline, light body. Neo Activists are courageous individuals who are so cutting edge in the awakening, that they are actually creating a new vocabulary. Each year, we discover these individuals and proudly share them with you! They bring forth freshly "downloaded" information, and new innate abilities that will blow your mind. They are life and business coaches, musicians, speakers, healers - and most of all - AMAZING. Having started and sold several businesses, one now worth nearly 1 billion dollars now, Joeaux is a business start-up maestro inspiring you to leverage technology and tap into that thing that only YOU can do. Three Trees uses instruments including the didgeridoo, crystal bowls, vocal toning, halo drum, chimes, and rattles while focusing on the healing powers locked within the Drum and Rhythm. Bonnie assists people in their journey towards loving themselves and living in joy. She helps bring participants into their heart space for an even deeper experience. Along with a full time private healing practice, Kathleen & Judson have toured internationally using the the sound vibration of singing bowls, gongs, drums, & toning to balance the body & spirit. They regularly tour the US. Sherryl is a "Cosmic Conduit" assisting her clients through powerful healing sessions, Divine matrix activations and spiritual business coaching, activating a new state of consciousness in alignment with who you came here to be. Yvonne offers light language energy activations, galactic readings, and coaching for walk-ins, empaths, and those seeking to merge the Higher-self with the body and personality. In the past, our participants have told us that one of their favorite sessions was the "channel panel." So, this year we've invited some of our favorite trance and conscious channels for an interactive Q & A with you. Friday and Saturday will be wrapped-up with input from the Beings our panel channels. Each evening, we-wrap up our day with our channel panel, gathered to answer any of your questions. This year's panel includes Marilyn Harper, bj King, Angela Blaha, Leandra Murray, Gabbie Deeds, Kathleen Farrell, and Yvonne Perry. Plus, Judson Cunningham on the bowls. Quantum Sound Healing with SoulTones: Time on the healing table receiving a sound bath with singing bowls & pyramids, and individualized toning, and Access Consciousness. The Muse with Victor James Dougherty: An amazing session of meditation, chakra clearing, movement and chanting, Kirtan calls you back to your heart. Light Language Activation with Yvonne Perry: A sound therapy tool for moving through the ascension process, activating DNA codes and more. Creatively Engaging with What Is with Deborah DeLisi: Learn to give your life movement from wherever you are currently: joy or despair. The Convergence builds with keynotes: Raquel Spencer (Step Into Your multi-dimensional mastery); and John Burgos (the Keys to Calling in the Power of Your Divine Creatively). Additional speakers include: Greg Pruitt (Following Your Own Yes); and Gary Fleck (Crystal, What Are You?). Googling God with Joeaux Robey. You'll want to plan ahead for this one! Come dressed, using whatever props you need, to represent your future self. Who will you be? A published author? A household name? The inventor of a new technology? We honor you and that person that you (already) are! Light refreshments provided! We pride ourselves in bringing forth "sounds from the future." Enjoy an evening of a variety of different types of music and sound healing and expression. And... if you have a special talent you'd like to share - here's YOUR chance! Your Co-host and Emcee AND Keynote, Marilyn Harper & the Council of Light, will delight and inspire you in (Activating Your Vision, Your Life, and Your Love Now!). Three Trees will reprogram your DNA through sound frequency (Sound Alchemy for Our Galactic Evolution), and Sylvia Thompson will share (How One Little Yes Can Change Your Life). Co-host Joeaux Robey will motivate you to (Use Your Fear to Fuel Your Passion). Hearts wide open, this is where we put a bow on everything! Always an emotional experience - in that really good sort-of way. AND - we announce the winner of the 2016 Visionaries in Light Convergence "Stack of Cash" towards their vision. "People are often speechless, light-headed, emotional, and completely blown away after attending the Convergence. I think that's why they continue to return! : )"
Lunch will be served on the glorious terrace café overlooking Pikes Peak and the Garden of the Gods. During lunch we will be honored with an inspiring performance by an award winning American Indian dance troop representing four generations of family members from the Pawnee, Flandreau Santee-Sioux, Crow Creek-Sioux, and Cheyenne River Sioux tribes. Lunch will be followed by channeling with Adironnda amidst the glorious red rocks. A few of our speakers will also be joining us to expand the energy and add into any mesages that they are downloading during the adventure. We will return by bus to our hotel by late afternoon. Thursday evening also offers our two most popular interactive workshops: Leandra Murray OR Three Trees. But, you'll have to choose, and both are optional. Details coming! A starseed walk-in and shamanic practitioner of galactic light codes, Yvonne Perry accesses the guidance of advanced celestial beings to help people integrate multidimensional soul aspects and shift into authentic living. Holding a Bachelor of Science in Metaphysics from the American Institute of Holistic Theology, Yvonne understands the “homecoming” or ascension process of the soul. Christine Bannigan is an advocate for personal freedom, a catalyst for transformation, and author. Based in Australia, she provides retreats to connect with the sacred earth and learn ancient spirituality from Aboriginal elders. Space is limited for our pre-event. You can register together with your Convergence ticket, or above. Join Us in Denver, CO – Sept. 16, 17, & 18! Join Us in Denver, – Sept. 16, 17, & 18!